No. 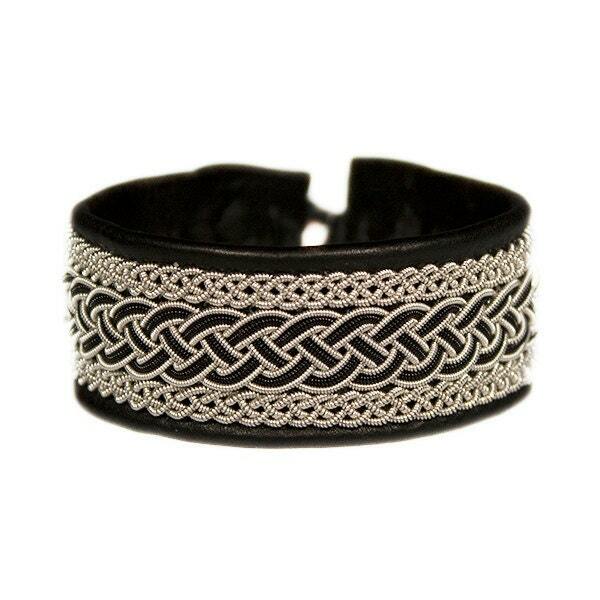 1082: Sami Bracelet of pewter thread, colored copper thread and reindeer leather. Color in picture 1) black-black 2) black-black. 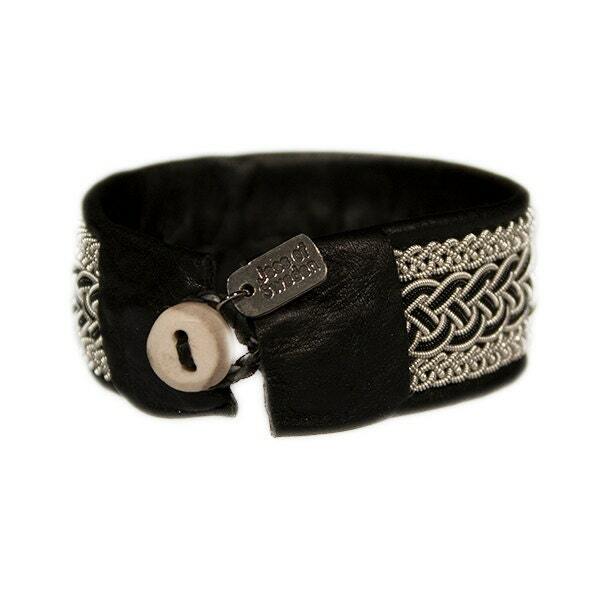 Made on BLACK leather of reindeer.